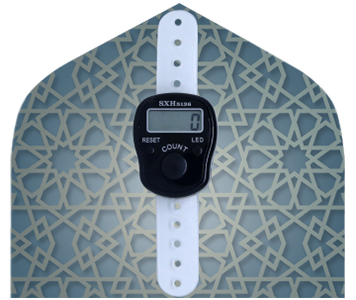 Digital Tasbeeh Counter helps you count your Adhkaar in an easy manner by simply pressing the button every time you read or recite a particular Zikr. 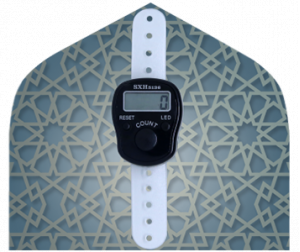 It features a strap behind the digital counter so that you can easily wrap it around your finger and use it with ease. It also has a reset button to start the counter from zero again.